A prominent conservative journalist says Iran should not be deceived by Europe’s promises regarding the nuclear deal and must get out of the multilateral deal’s “handcuffs”, a term used by the UK to describe the JCPOA. Hossein Shariatmadari, the editor-in-chief of the conservative newspaper Kayhan, says the recent “deceitful statement” by the UK, France and Germany shows the three European powers have undertaken to play the “destructive” role of the US. In an editorial published in Kayhan on Thursday, Shariatmadari said the statement shows Europeans are not only trying to compensate for US withdrawal from the deal, but they ask Iran to offer more concessions. The statement calls on Iran to give in to demands made by US President Donald Trump to fix the so-called flaws of the nuclear deal. Trump had threatened to get out of the deal unless the flaws are fixed, and he carried out his threat Tuesday, when he pulled the US out of the pact. 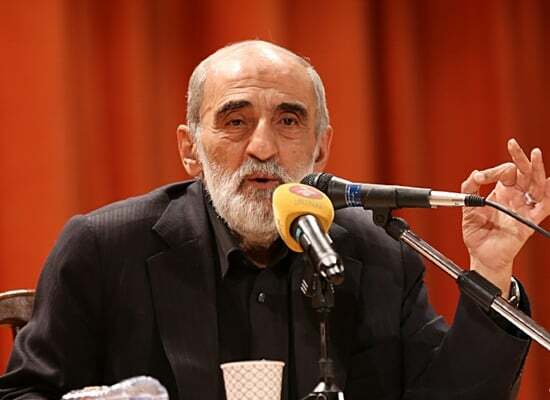 Shariatmadari said Europe is seemingly after continuing the “disastrous trend” the US created, as it calls on Iran to remain faithful to the pact and accept the US demands, while Washington has stopped honouring its obligations. The EU leaders say Iran must keep mum in the face of US bullying, as if they are ordering their puppet regime what to do, Shariatmadari said. He says the European powers believe the US should work to prevent Iran’s nuclear activities from returning to its pre-JCPOA situation, while it is no longer committed to the deal. In other words, Europeans say the US who has abandoned its end of the bargain can reap benefits under the deal, he noted. Shariatmadari says these three demands, which targeted the sovereignty and existence of the Islamic Republic, are exactly what Trump had put forward. As the Leader of Islamic Revolution Ayatollah Seyyed Ali Khamenei said on Wednesday, Iran needs firm assurances from the European countries to keep abiding by the pact. Without such assurances, Iran has no option but to get out of the deal, he added. “Considering the E3 statement, the US has lost nothing by walking out of the deal. Washington needs no longer to keep Iran sanctions frozen, and its demands are being pursued by the European countries,” Shariatmadari noted. However, he added, JCPOA was a loss to Iran and without a doubt Trump has made a big favour to Iran by walking out of the pact.